By treating these overseas payments in the same way as other payments you may actually be costing your firm or your client thousands of pounds. Are you costing your clients unnecessary money? The rate of the currency exchange can have a huge impact on foreign payments however it is often a forgotten aspect a law firm’s international work. When making payments overseas lawyers often just blindly entrust the transfer to their firm’s bank and expect them to convert their payment into the required currency at whatever rate is available. Exchange rates are however included in the list of ways in which High Street banks make enormous profits at the expense of their customers (this includes business customers quoted as receiving “preferential rates”). Most banks will set an exchange rate at the start of the day and won’t alter it regardless of what happens to the rate of exchange. These rates tend to be fairly uncompetitive and may also be accompanied by huge commission charges just to transfer the money. This does not usually achieve the best result for you or your client. 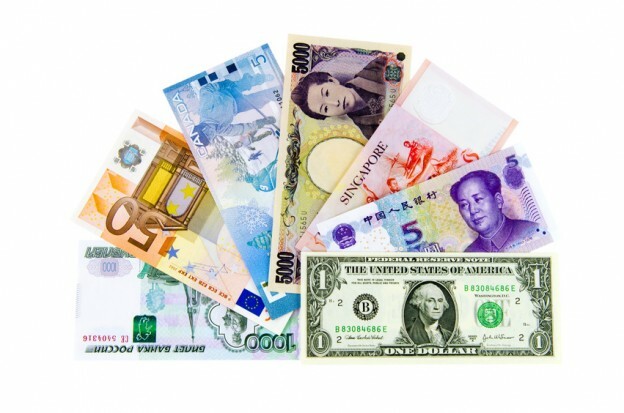 If you or your client will be sending money overseas your should consider using a foreign currency specialist for this instead of just relying on the bank. The exchange rates offered by foreign currency brokers are much more competitive than the rates of exchange offered by the banks, often by a considerable amount. A currency specialist can also save further money when compared with the banks as they don’t charge the excessive fees that the banks do just to transfer funds. The reason that currency specialist companies are able do this is due to the volume of transfers they make and the fact their sole aim as a business is to offer superior rates compared to the banks. They can typically save around 3% of the transfer value when compared to the banks. You need to transfer a £100,000 inheritance to a beneficiary in Australia. Your client is acquiring a German business for €200,000. By using a bank instead of a currency specialist, your client would have paid £3317* more. *Exchange rates are subject to change but figures are accurate as of 25/02/15. Law firms should carefully consider the costs involved before making transferring funds overseas such as the conversion rate and also any costs involved in making the transfer itself. As set out in the examples above, a small amount of research and planning can make a vast difference to the amounts actually received or the amount to be paid to satisfy the required amount. Using a foreign exchange specialist is not only cost effective but also very time efficient. Law firms can set up an account and sent a payment within minutes. It is simply a case of transferring funds to a separate client account where the money can be exchanged and the relevant currency forwarded on to the desired account. If you are a law firm and require further information about recommended currency specialists for law firms and how they can assist you, please get in touch with Worldwide Lawyers on 01244 470339 or email us at info@worldwidelawyers.co.uk.